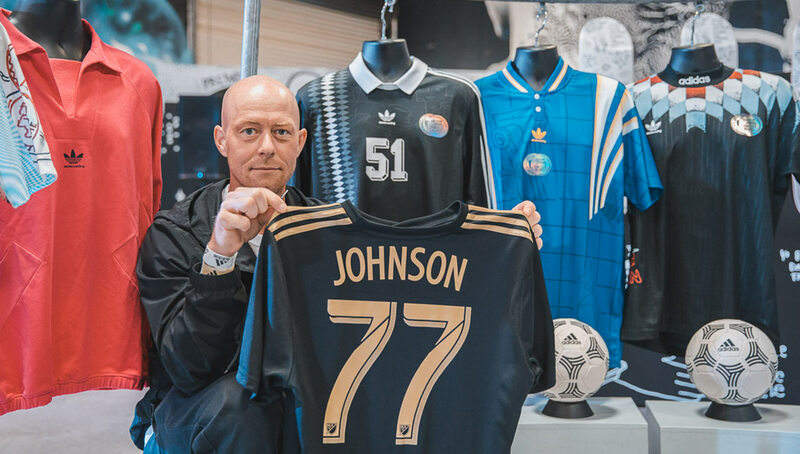 In what was a monumental day for soccer in Los Angeles, fans of the beautiful game had a one-of-a-kind experience both at LAFC’s Banc of California Stadium opening party at Adidas’ The Base LA and the inaugural home match that followed it. 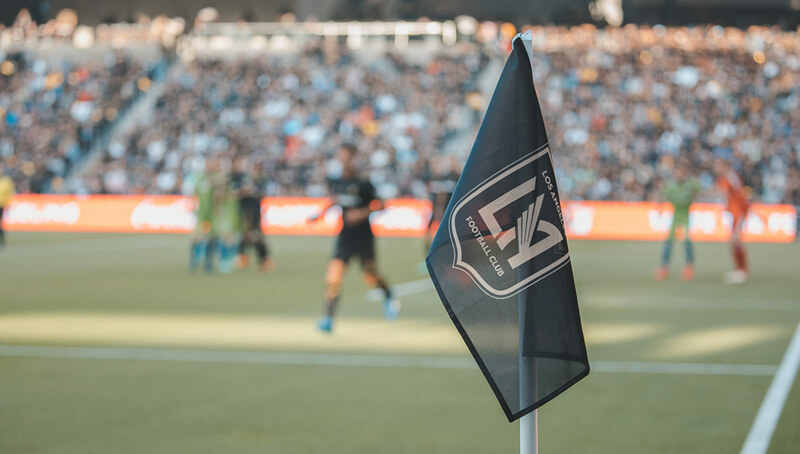 Urban Pitch was on the scene for both events, capturing the raw and unfiltered thoughts of the LAFC faithful (as well as a few Seattle Sounders fans) regarding the new stadium and its features, the vibrant atmosphere, and LA soccer culture. 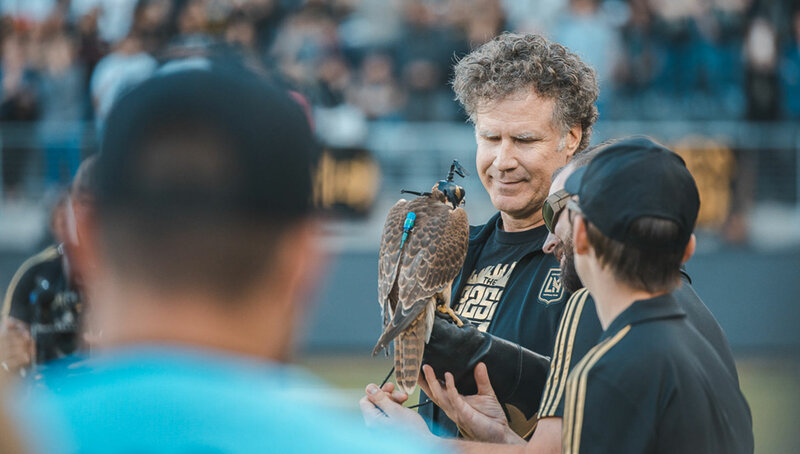 Another LAFC match, yet another classic. 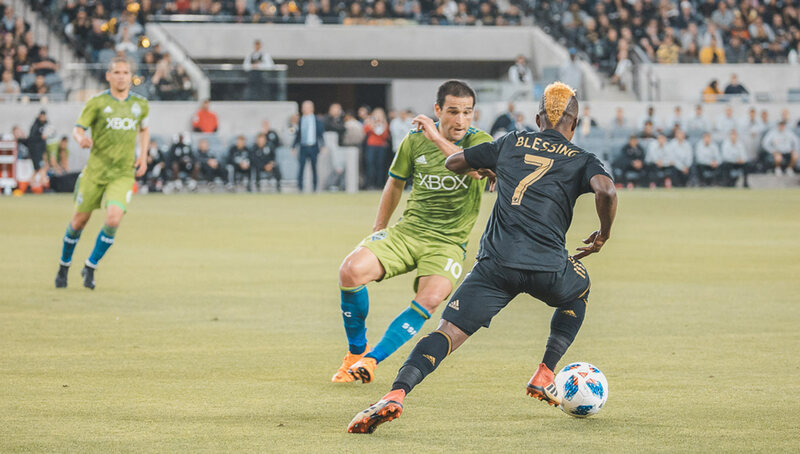 A gridlocked 0-0 affair against the visiting Seattle Sounders was broken open thanks to a last-gasp goal by LAFC captain Laurent Ciman, sending the stadium into a frenzy. 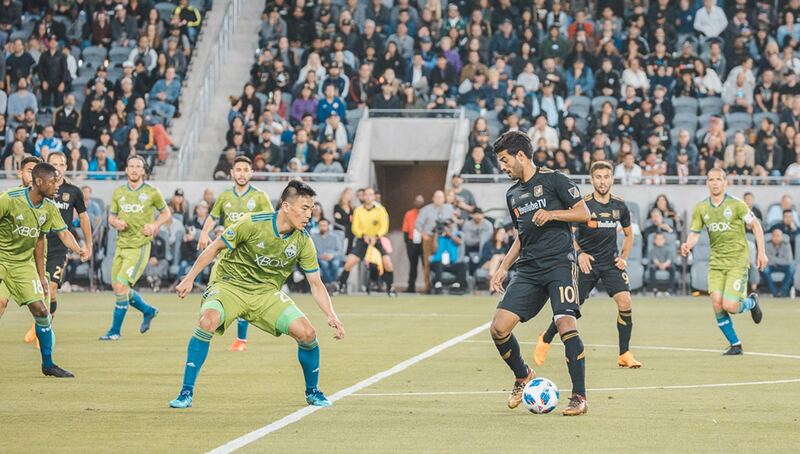 The victory not only represented a successful first home match, but the second triumph over the Sounders this season, with the first coming on opening day in Seattle. 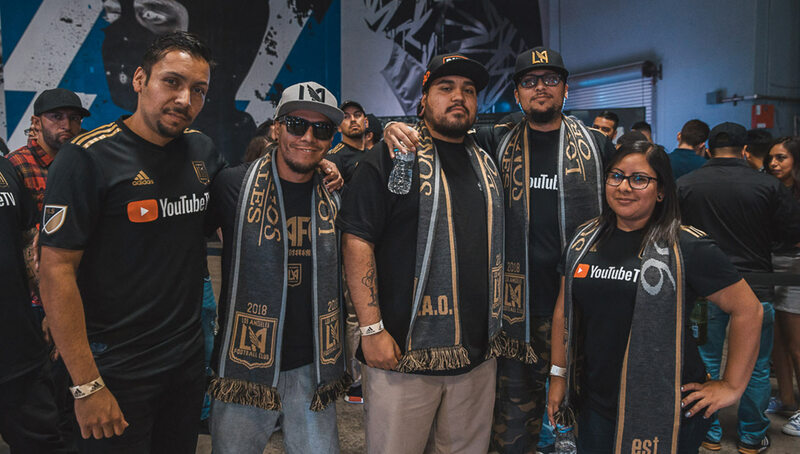 We were on the scene for that first match in the Emerald City in March, catching up with some of the die-hard LAFC supporters that made the journey north. 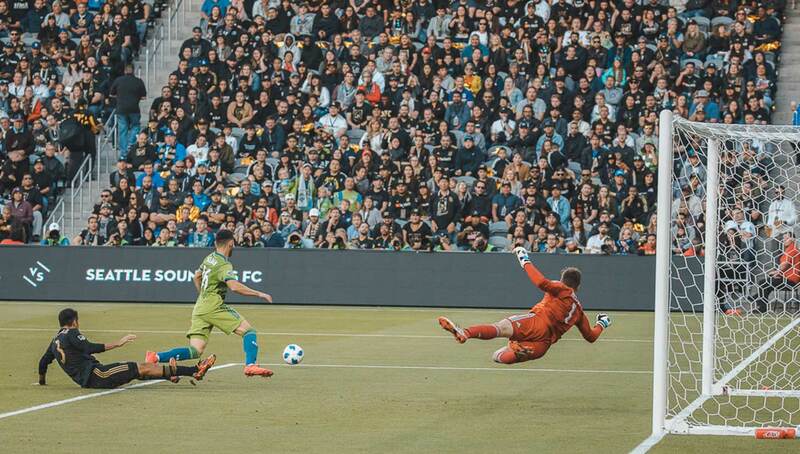 This time around, we flipped the script and asked Sounders fans that traveled to LA about the brand new stadium, what the food inside is like, and how the league’s newest supporters’ section stacks up against theirs. 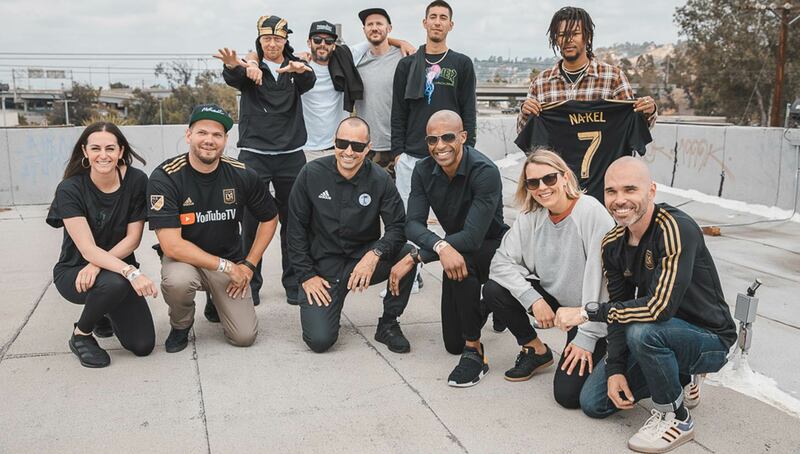 First though, we headed to Adidas’ The Base LA to check out the official Banc of California Stadium opening party. 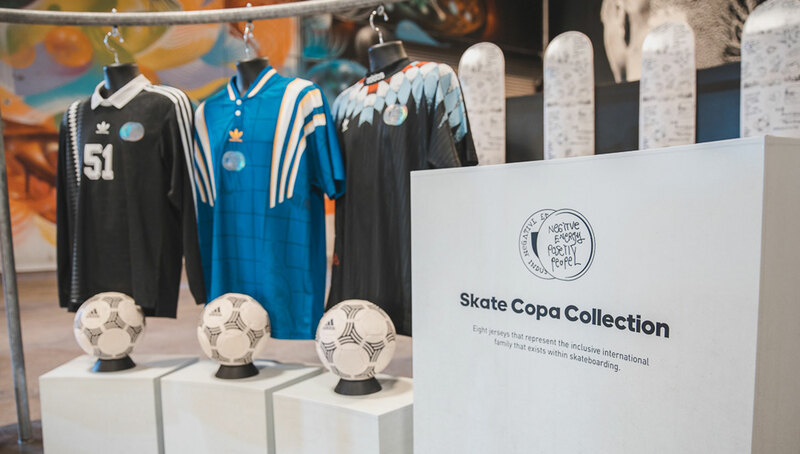 In addition to free food and drinks and LAFC gear customization station, Adidas unveiled its new Skate Copa kit collection (why not show your support to your favourite team and get Custom Stadium Blankets in the team colours or add the team logo!) 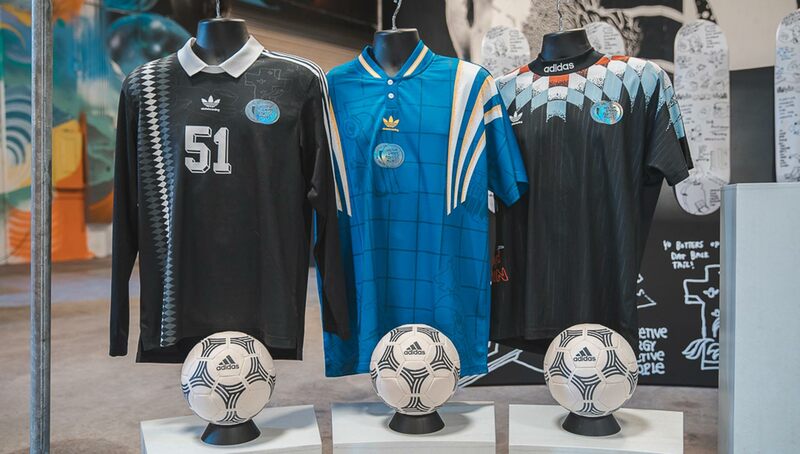 as well as hosted the UEFA Young Champions League U.S. Final, in which LA defeated NYC 4-3 to represent the U.S. in Kiev. 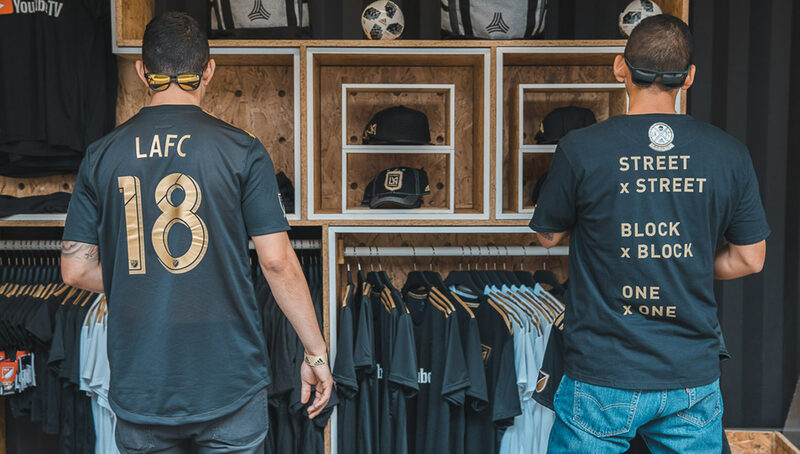 Because we of course had to get some LA fans’ perspective on the day’s festivities, we caught up with several LAFC fans at the event to see what they were looking forward to the most, and what part of LA culture LAFC captures best. 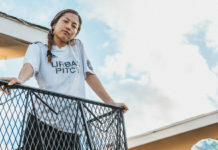 Urban Pitch: What brought you out to the event today? 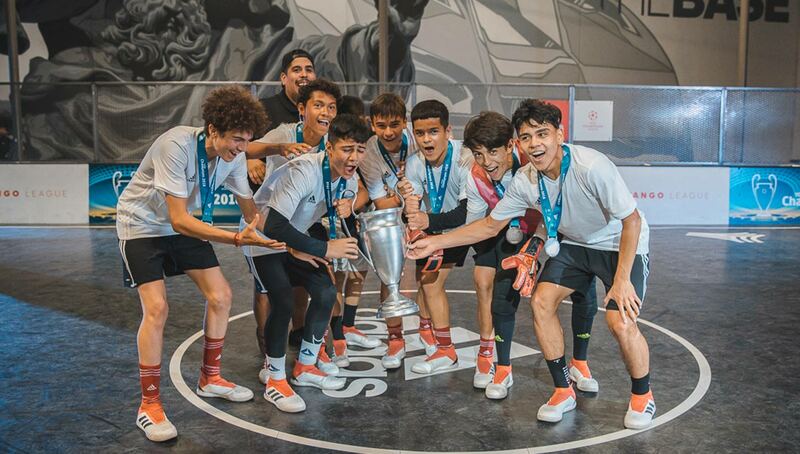 Arnulfo Sanchez: I got an email and I wanted to do something before the first game. 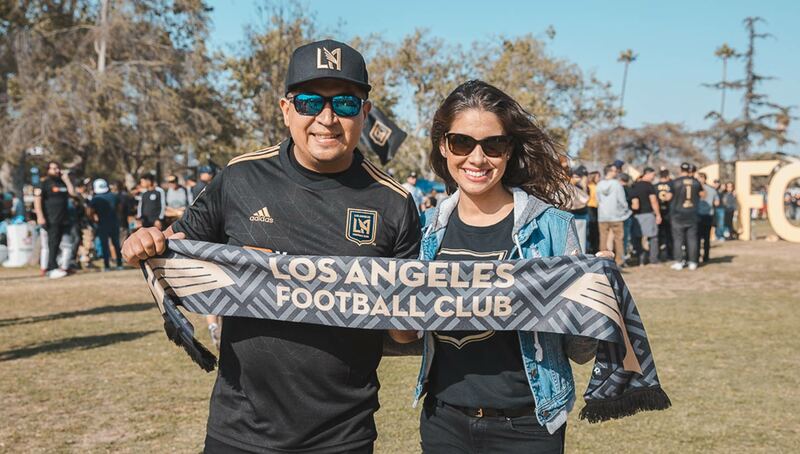 Something to get that blood going, meet a couple other LAFC fans, and have some food and drinks. It seems like a nice get together. 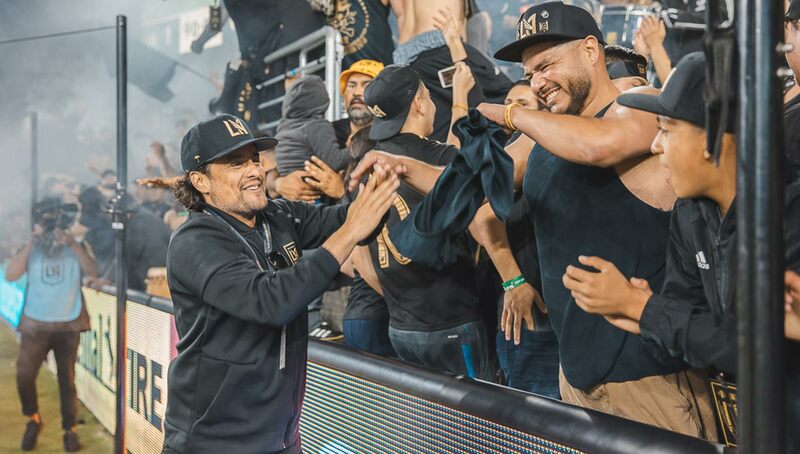 Art Alencastro: LAFC fans, friends and family, that’s pretty much it. It’s a tailgate spot for now man, we’re going to take it to the stadium next. John Martinez: We’re season ticket holders, so we’re going to go to the game after this. It should be a good one. Stephanie Servano: Well I love soccer, firstly. 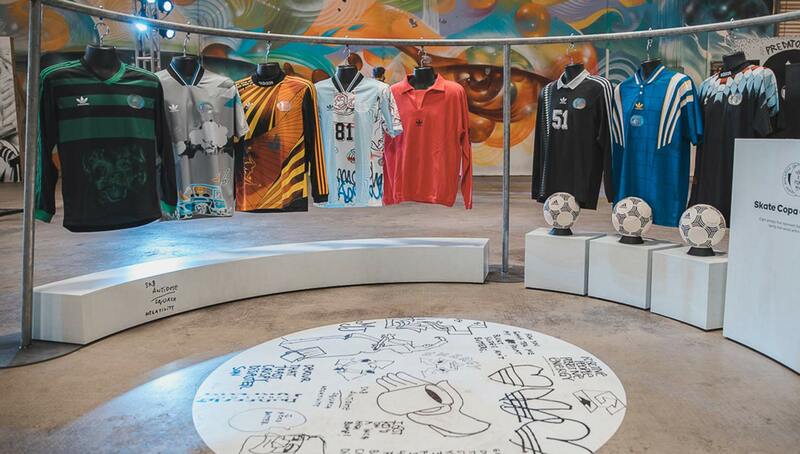 I play soccer, I’ve always played soccer. And they started a new team, so why not join? We’ve been to all the events and it’s been pretty fun. 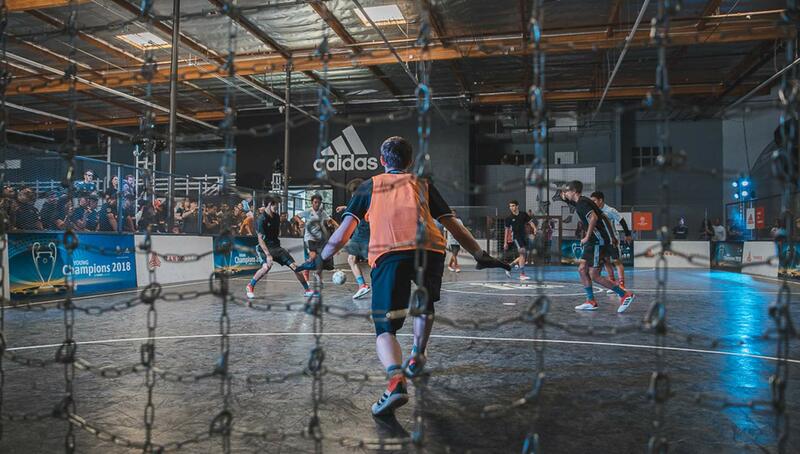 Urban Pitch: What do you think of the event venue, Adidas’ The Base LA? Arnulfo: I think the whole indoor setup is pretty cool. And the fact that it’s in a warehouse is a pretty nice use of property. I think having it set up in a big area like this is pretty neat given how kind of claustrophobic I am. I usually don’t like to be in small places, but this seems big enough that I can be at ease with 500 people. Art: I like the stores, obviously the beverages, and the games. It’s a pretty laid back place. You’ve got the train passing by so it kind of makes it like you’re in the city. You’re not in the suburbs, you’re in downtown. So that’s what kind of brought us here. John: It’s awesome, it’s a big space. Free shirts, free food, and free drinks. It’s a great event. Stephanie: I agree. You guys have a lot of parking too, that’s good! I like it. 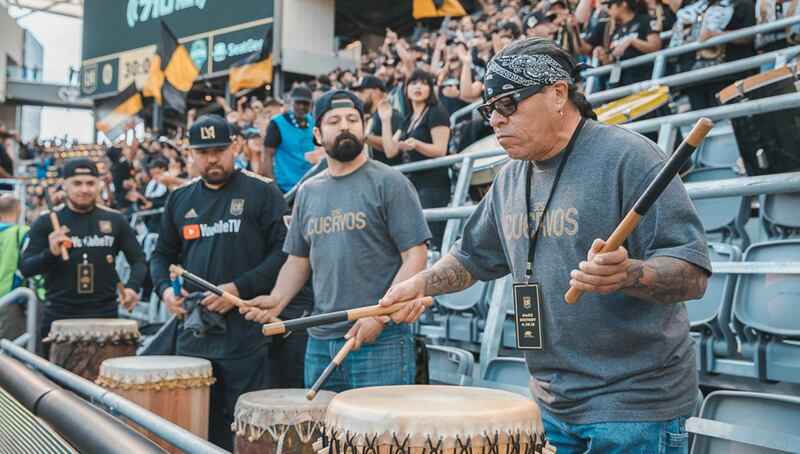 Urban Pitch: What are you looking forward to the most about the Banc Of California Stadium? Arnulfo: I think the intimacy of the ball park. It’s so small, and the fans are pretty much on top of the field, which is what I like. Usually the new stadiums are built with the stands 10-15 yards away from the field. You feel them, but it’s not as neat as being on top of the players, being an arm’s distance from the touchline. That seems pretty cool. 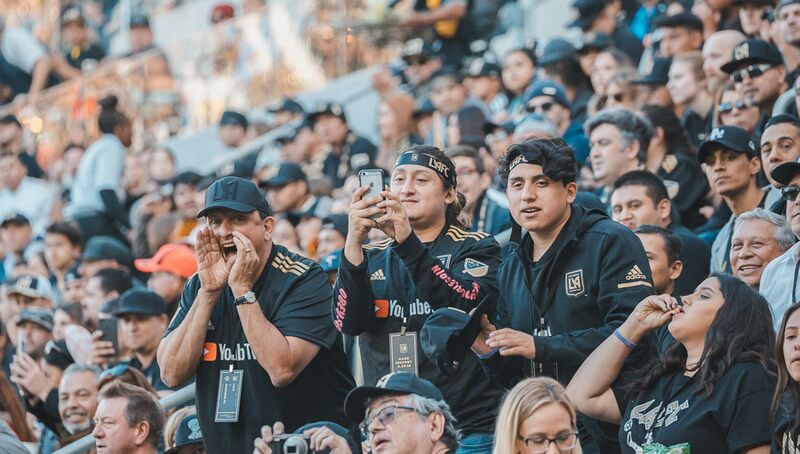 Art: Seeing the fans in the seats. Being able to experience a game. And ultimately having a place to call our own. I’ve gone to a couple of away games since they’ve started, but it’s not the same. So being able to call something your home, seeing it from the beginning up, out of the ashes, that’s what I’m looking forward to. John: I think the biggest thing is the energy. The 3252. To see how loud they get with the chants, it’s going to be awesome. 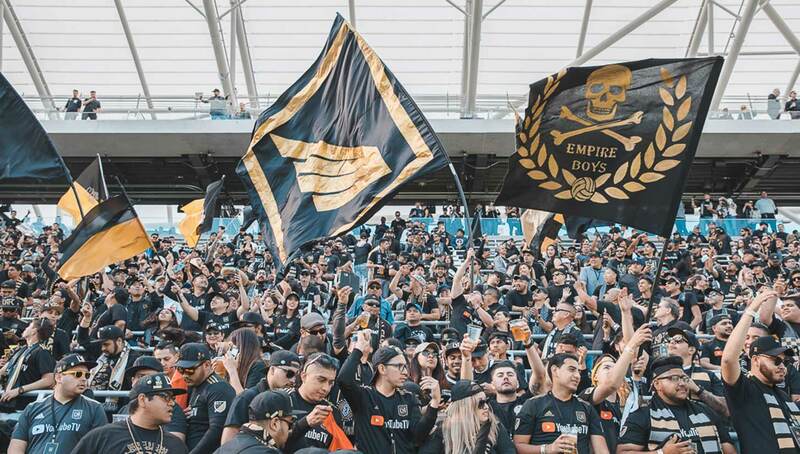 Stephanie: I’ve heard that it’s one of the best soccer stadiums right now, and I like that they have a little shade where you’re not always in the sun because it’s going to be summer and it’s going to be hot. I saw that you can stand sometimes if you don’t want to just sit, and you can walk around, and it’s a good view everywhere. 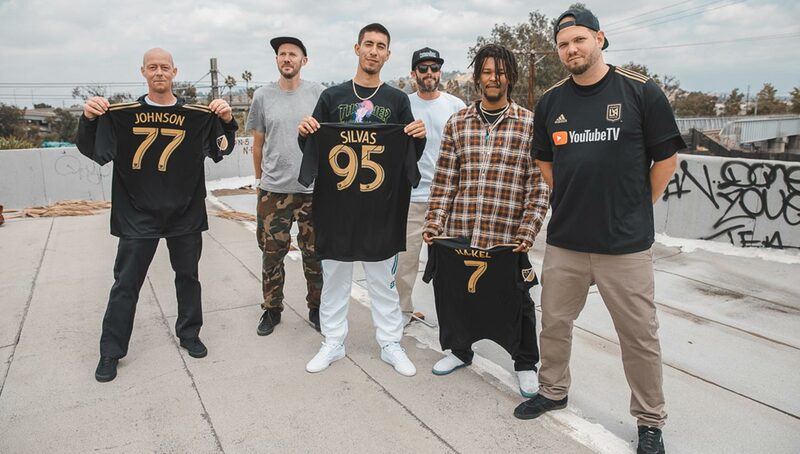 Urban Pitch: What part of LA culture does LAFC capture best? 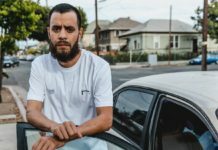 Arnolfo: I think it’s all relative to what I felt the Galaxy represent, which was a suburban upper-middle class lifestyle, and the price for the games kind of reflected that. 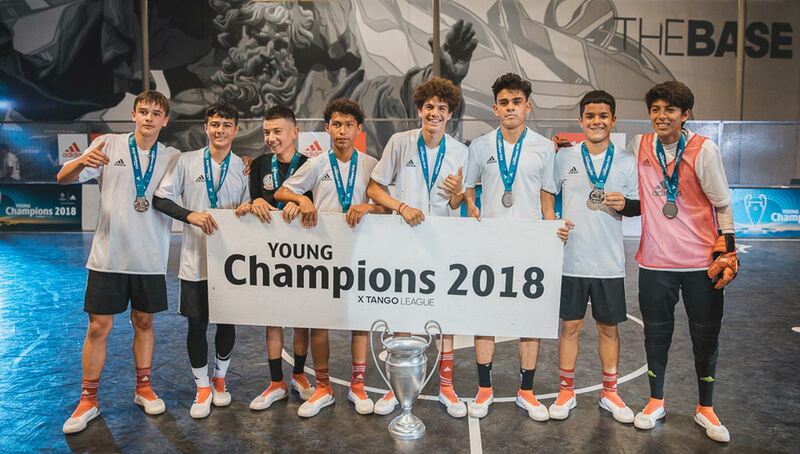 This team seems to be a little more geared toward the younger, urban, up-and-coming soccer fan lifestyle. Art: It incorporates family, it incorporates the city. It’s in downtown next to the glorious Coliseum. It’s there, it’s in the middle of everything, it’s the hub. So you’re able to get there by train, by vehicle. Yeah it’s congested, but it’s LA. It’s beautiful, you look around and you have the buildings, and that’s what makes it LA. The skyline, the architecture, even our logo has Art Deco in it, so it encompasses everything. John: Diversity. And we’re all cheering for one team. Bring the energy, let’s go and get this win. That’s what it’s all about. Stephanie: Yeah, diversity, I would say. I see all types of people here — culture, ethnicity, social class — so I would say diversity. Urban Pitch: What do you think of the new stadium? 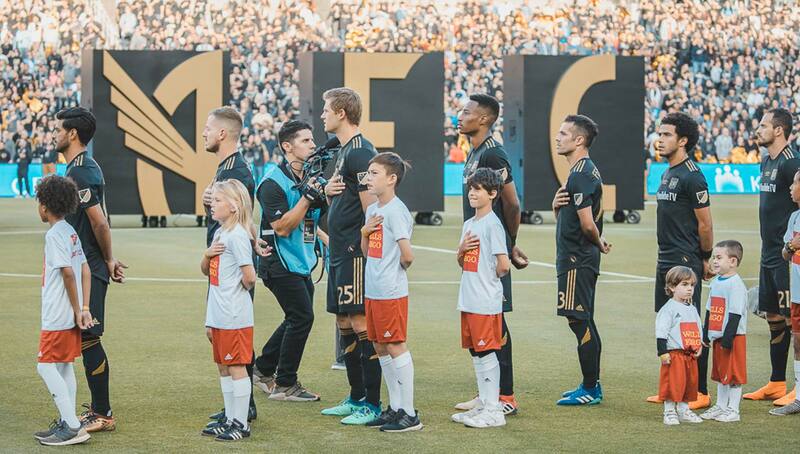 Tom Conquergood: It’s one of the most beautiful stadiums that I’ve seen traveling around MLS, as far as soccer-specific stadiums go especially. It’s a great ground, I just wish the beer lines were a little shorter! David Valencia: This is an awesome opener. 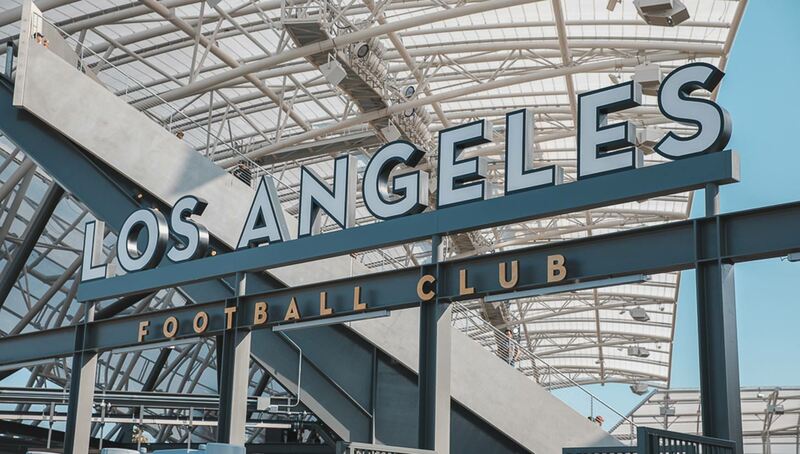 This is the stadium you want for an LA team, straight up. This brings everybody here, this is it, this is for LA. And I’m glad because I’m a Sounders fan, but I have a stadium to come to other than going to Seattle. Scott Beck: It’s great. It’s clean, easy to navigate, there’s enough room. I like the pitch and the seats. 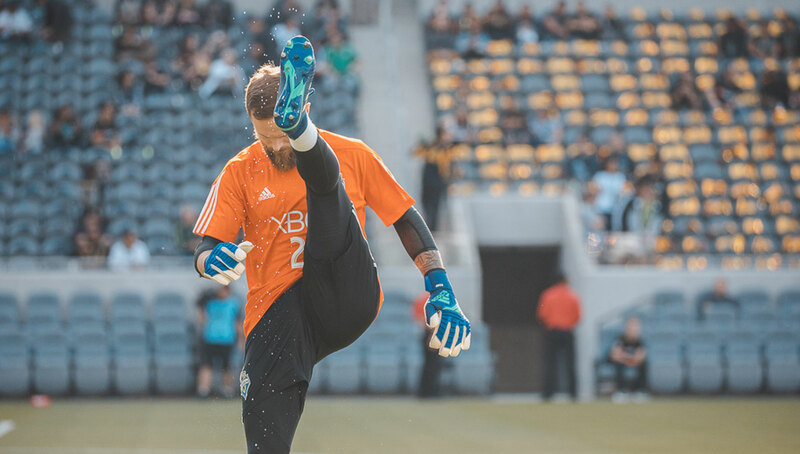 Even though you’re on top, it still feels like you’re hovering right over the pitch. It’s very intimate. It’s a soccer stadium man, and that’s what I like the most about it. 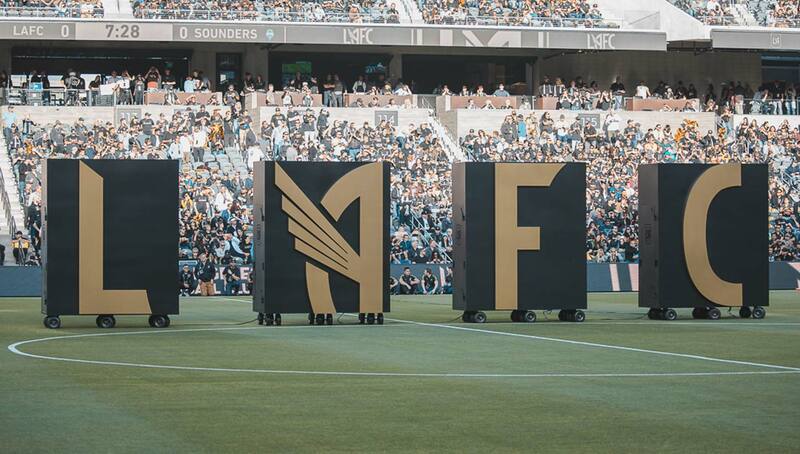 It’s not a football stadium, it’s just for soccer. 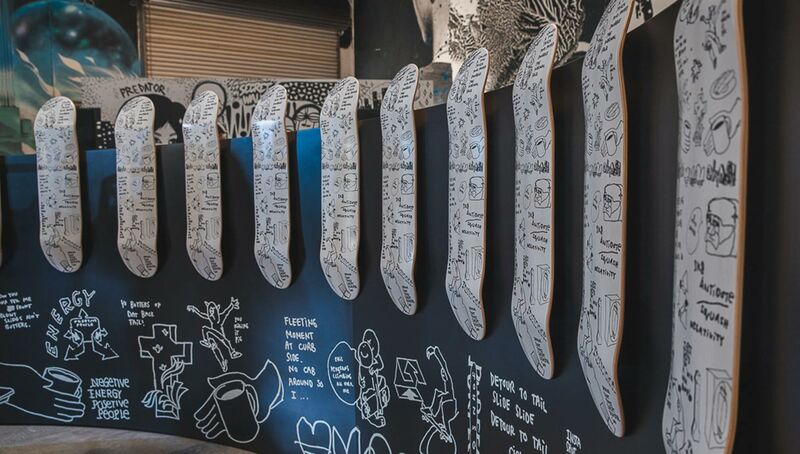 So it’s built for that, that makes it unique. There’s only a couple in the MLS that are like that. 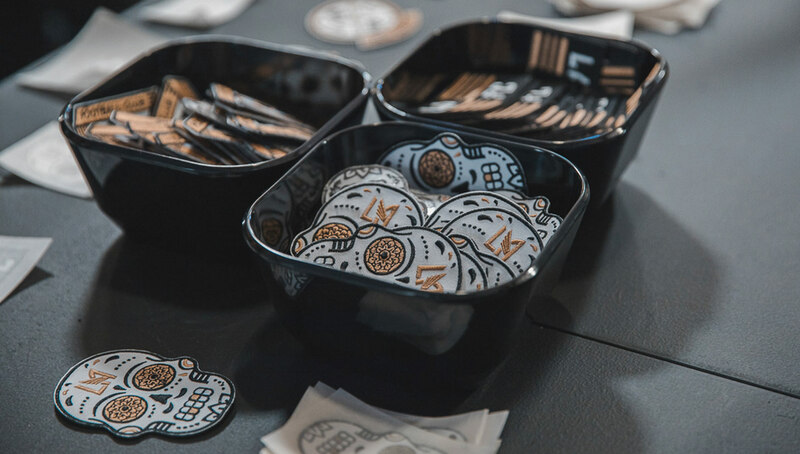 Urban Pitch: Have you had a chance to try the food yet? What did you get? How was it? Tom: Yeah so far it’s been pretty good. I like the fact that there’s a Michelada option for the beers. And we drank one stand out of $10 bottles of wine already. I wish they had more, they’ll be ready for us next time. David: It looks good, I’m going to get some tacos soon. Everything looks good here, it looks great. It’s a great stadium. This is the stadium you want to come to if you want to see your team play away from home. Scott: I have. The shawarma is horrible. Everything else, the beer options, a hot dog, are good. My buddy has a Founders Club pass, we were up there earlier and the food up there is great. 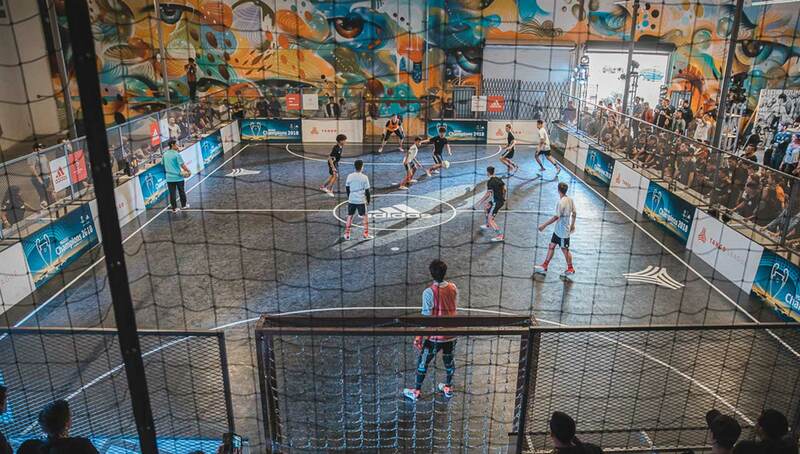 Urban Pitch: What’s the overall atmosphere like? 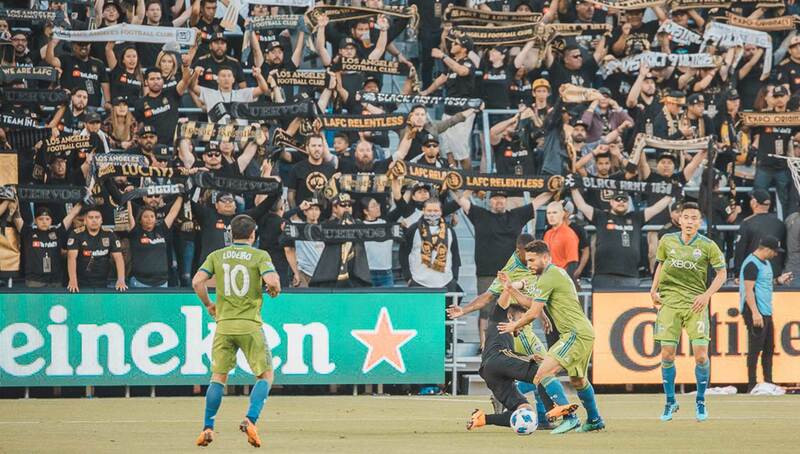 Any bitterness towards Sounders fans? 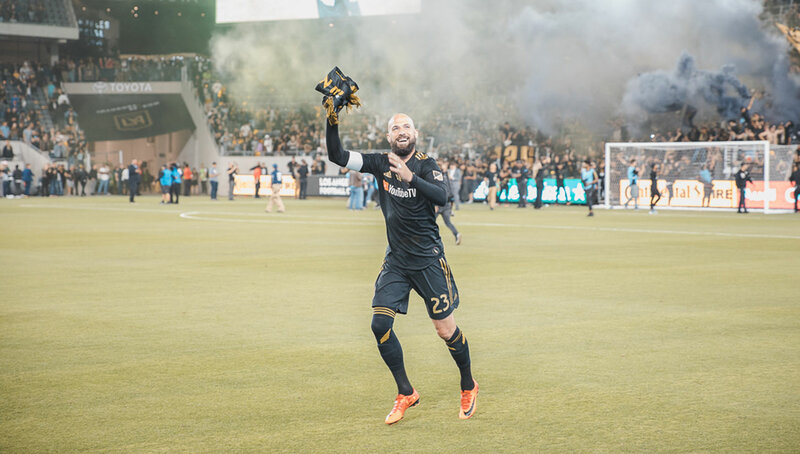 Tom: Well I think that there’s been plenty of booing for Dempsey especially, but the interesting thing to me is that LAFC has been louder than I’ve ever heard Galaxy in the Stubhub be. David: The fans are here, they’e not even mad at us for being here. They’re here supporting everybody, so it’s a good thing. 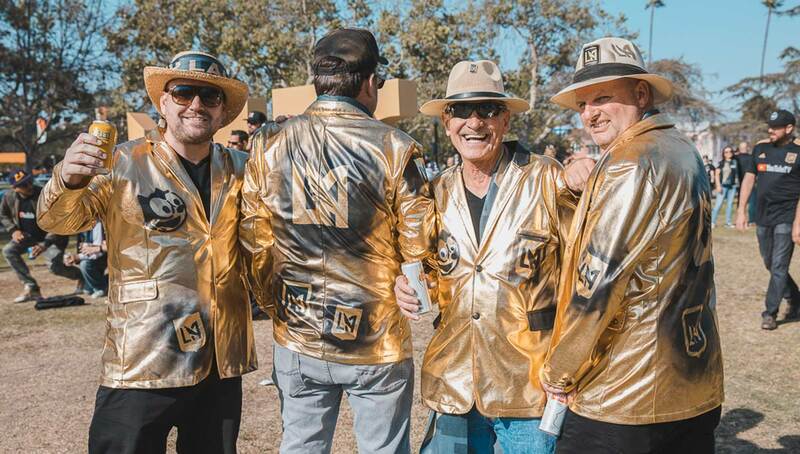 They’re supporting their team, but they’re not mad. I love them. Scott: Only one guy, and I called him out. I told him, “Look I flew down from Seattle to watch your team play, that should be a compliment.” He said I’m sorry. They boo and whatnot, and I just show them the star on my jersey and they laugh. It’s been fun. They’re very welcoming, I’ve got two beers bought for me upstairs. They said thanks for coming down. So it’s been very nice. 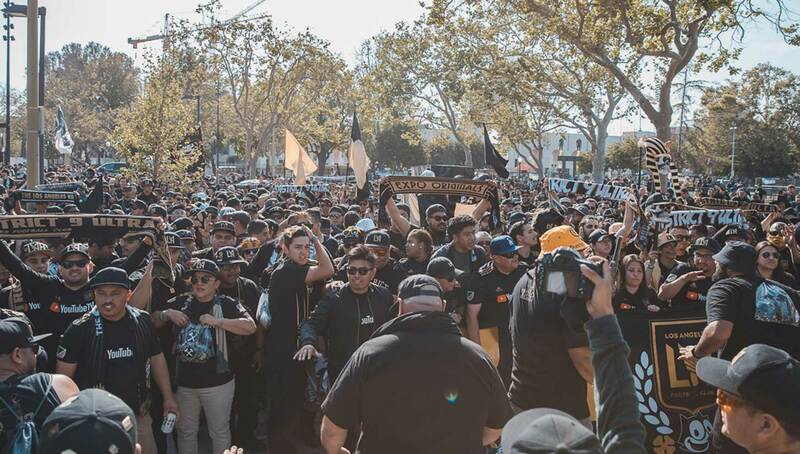 Urban Pitch: How do the LAFC supporters compare to the Sounders supporters, who have a reputation as being one of the best in MLS? 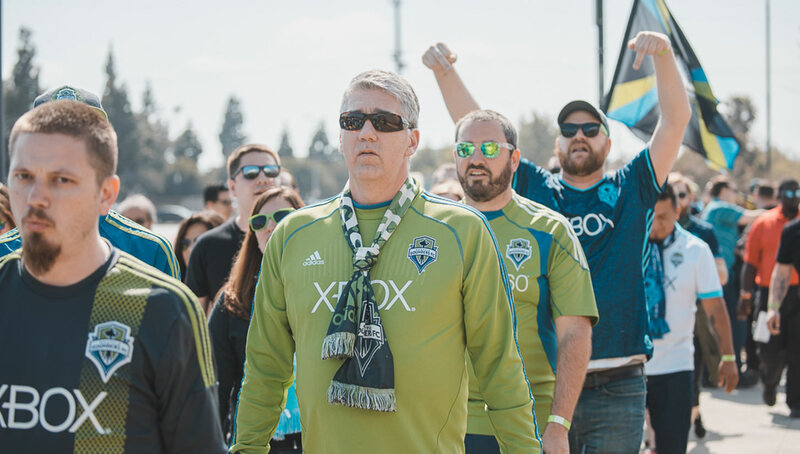 Tom: It’s nice to see an entire end of the stadium devoted to supporters, similar to what we’ve got in Seattle. 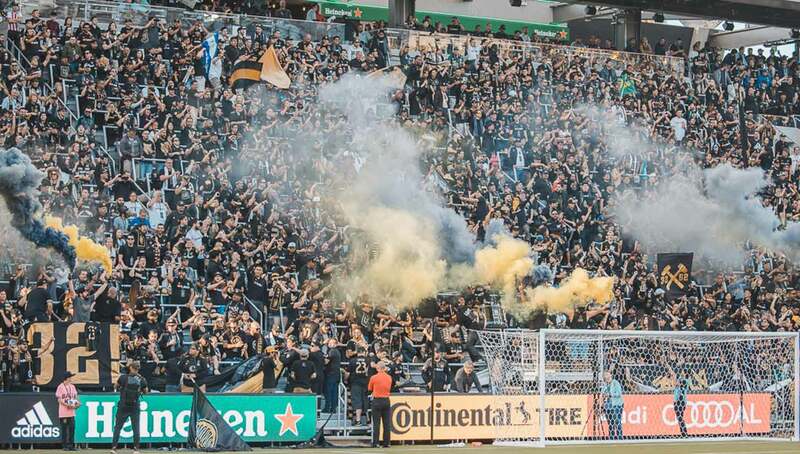 And there’s a lot of passion here for this being the first match, it’s impressive to see. David: I think they stack up pretty well. They have great supporters over here just like we have great supporters over there. And they’re here for their team, I love it. 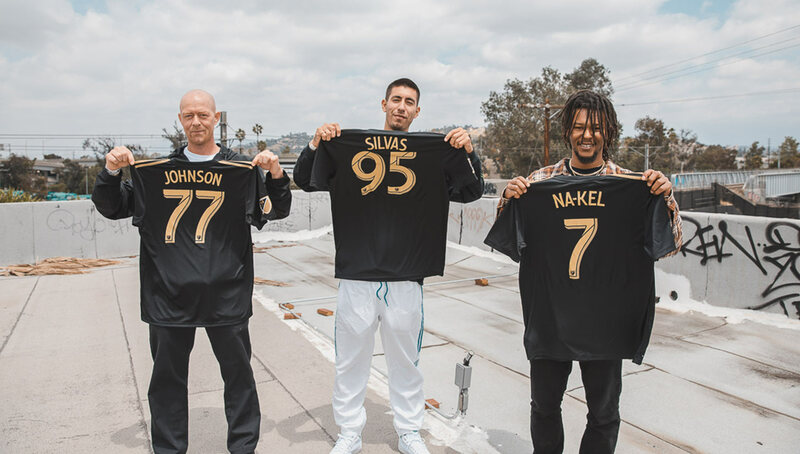 I love it because it’s not like a Galaxy game, where they’re sitting there and they don’t even know what their team is. They’re sitting there saying ‘Go Herbalife!’ They’re not even supporting their team, they’re just supporting Herbalife, and I’m not about that. 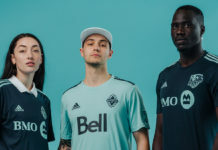 I’m about Seattle, but also supporting your own club. 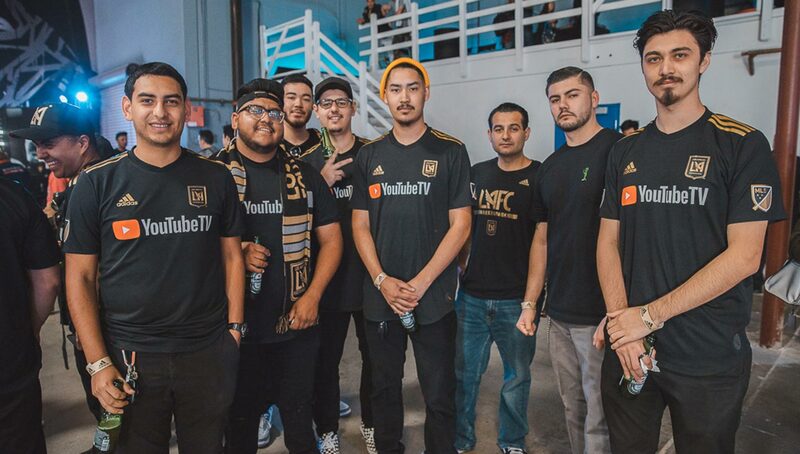 They support their team more than Galaxy. Scott: They’re loud, and I think it’s bigger. Our supporters’ section is kind of smaller. I mean they’re loud, but I’d say it’s comparable. They’re jumping up and down, and I haven’t seen them sit down yet, so that’s good. They’re chanting at our chants over here. They’re heckling back and forth with Sounders fans, these guys are going. It’s cool man, it’s a nice environment.